Castles and monasteries were, in medieval times, the centre of power in some territories. Something similar happened in fortresses such as Castelo de Moeche, in the town with the same name. 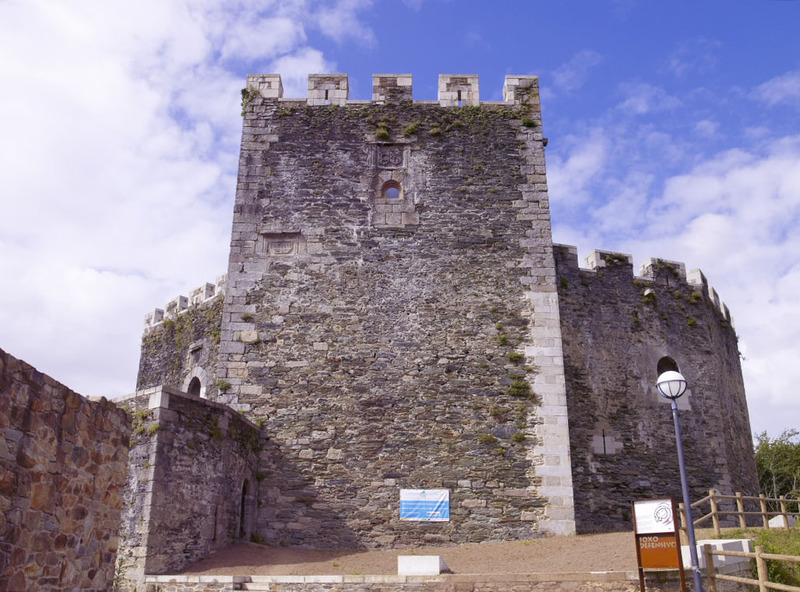 This is a fortress built in the fourteenth century that belonged to the Andrade, like the Torre dos Andrade in Vilalba or Castelo dos Andrade in Pontedeume. One of the most outstanding episodes for Castelo de Moeche occurs with the one known as “Revolta Irmandiña” , where oppressed vassals rose up in arms against the feudal lords. In this specific case, the irmandiños arrived under the command of Roi Xordo, a medieval nobleman who in 1431 led the so-called “Irmandade Fusquenlla” against Mr. Nuno Freire de Andrade “O Mao”, in one of the first “irmandiña” revolts. The extreme harshness to which the population was subjected caused the peasants to organize themselves in a kind of army headed by Roi Xordo, who took by force the Castelo de Moeche in search of Nuno Freire. Dressed in sticks, sickles and various weapons, the infuriated “irmandiños” knocked down the castle while the lord had already escaped from the place. 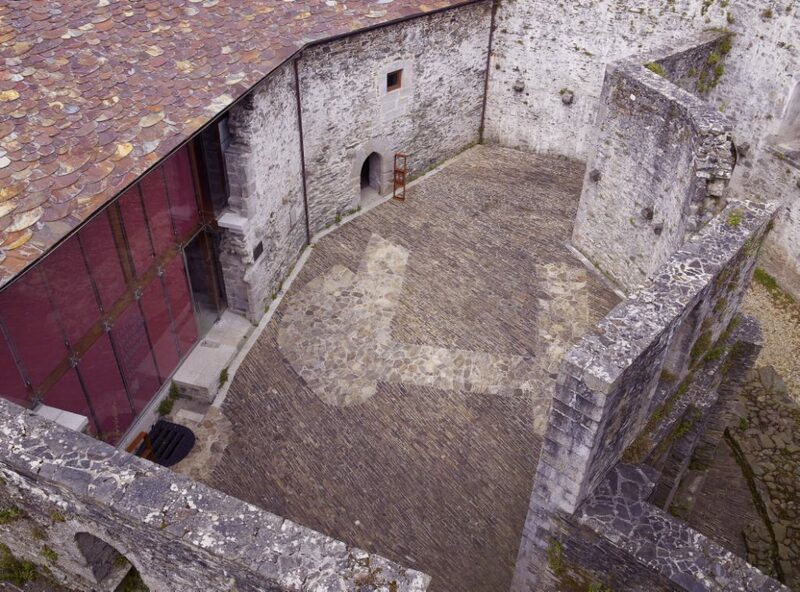 Today, after having been rebuilt by Pedro Álvarez de Osorio -Earl of Lemos- in 1468 and having been on the verge of disappearing in 1890 when it belonged to the Casa de Alba, the castle has a spectacular octagonal floor plan surrounded by a moat and walls of more than ten metres of stone typical of this area of Galicia. However, the most striking feature of the complex is still the square homage tower that rises 18 metres above ground level. Perhaps a guided tour organised by the Castelo de Moeche Interpretation Centre is the best option for getting to know this monument in detail. Of course, within the walls of the castle also circulates a thrilling medieval legend: that of love between the daughter of a feudal lord and a commoner whom his father had executed by piercing his heart with a sword. Meanwhile, the maiden died of sadness within the walls of the castle she never left. Legends and history aside, Castelo de Moeche is today the reference element for the municipality in which it is located and every year, on the third weekend in August, there is a music festival commemorating the popular uprising. After singing and dancing to the rhythm of different groups of folk and popular music, the celebration culminates with the representation of the burning of the fortress with a fireworks show and with the assistants carrying torches and sticks as their ancestors did.